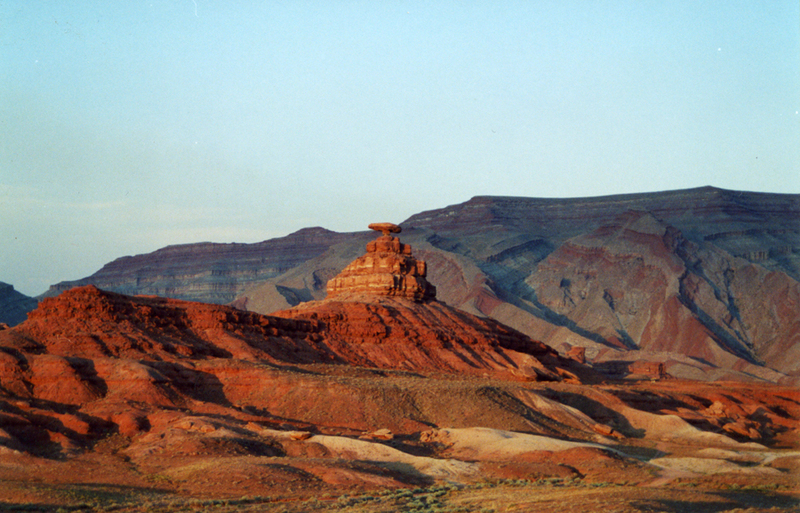 Mexican Hat, Utah is named after a geological marvel of erosion. The persistent sands, wind, and water of time have sculpted the sandstone of the Mexican Hat Rock into what it is today. Sombrero, the Spanish word for the Mexican Hat was too difficult to spell, so our well read town founders, stuck to their guns on the English version of the word. Ever since then our little town of 40 or more people has continued to be confused with Mexican Water, Arizona, or confused entirely as being in Mexico and quite often mistaken for a 10 gallon hat. But nevertheless Mexican Hat, Utah is a real town and exists near the Four Corners in between Monument Valley and Bluff Utah. Getting here could be quite possibly one of the most beautiful drives you’ll experience in your lifetime, it is definitely worth the trip. Just be sure to hike to the head under the Mexican Hat Rock when you come. It will be a view you won’t forget.